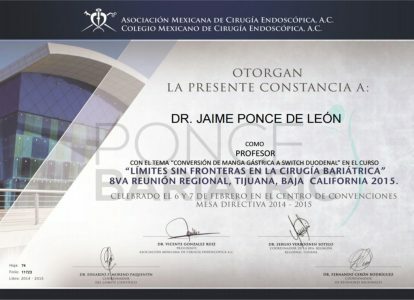 Dr. Jaime Ponce de León is a well known bariatric surgeon practicing the exercise of surgery for 22 years, maintaining his reputation for his ability to rescue complications in laparoscopic surgery, Dr. Jaime Ponce De Leon is certified in the United States America and in Mexico. 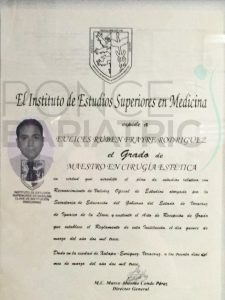 He received his Doctor of Medicine in 1991 at the University of San Nicholas and specialized as a general surgeon in Tijuana, Mexico. 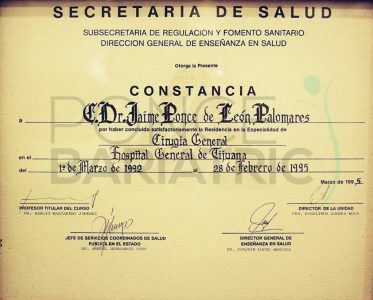 He has also trained in the United States and France. 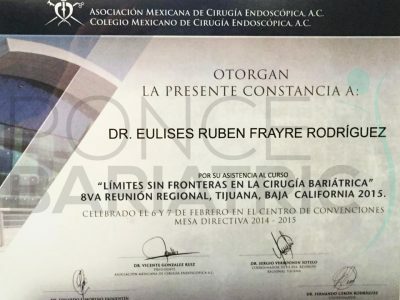 He was authorized to perform obesity surgery gastric bypass and gastric band of the Mexican Society of Surgeons of obesity in 2004, and has been the most active surgeon for bariatric surgery in the last 10 years. 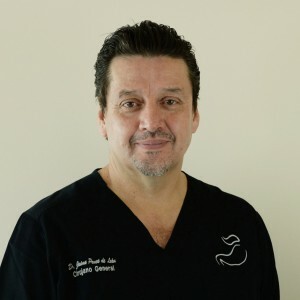 Dr Frayre is a surgeon pushed to be a great general surgeon by Dr Jaime Ponce de Leon, he started as a Medical Surgeon in this Bariatric Surgery Team for 12 years now; he is a very hard working doctor mixing his work as a full time member of this bariatric team with doing his own cosmetic surgeries, specialized on weight loss patient he has made a name on the Bariatric Field helping a lot a patients with WLS to regain their confidence and helping their cosmetic appearance. 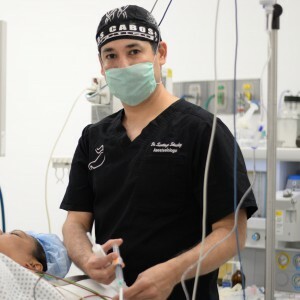 Now he is head medical director of belletza medica spa, a beauty full spa in Tijuana focused on cosmetic, and also helping with medical coordination for medical tourism from Canada and USA, he is also involving himself in cosmetic surgery and medical tourism. 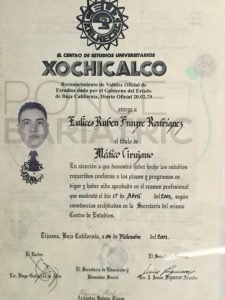 Dr Jesus Sanchez also known as “Super Sanchez” has earned a good reputation in our patients, his warmth, and also his great acuity have now earned his name as one of the best antesiologos in Tijuana. 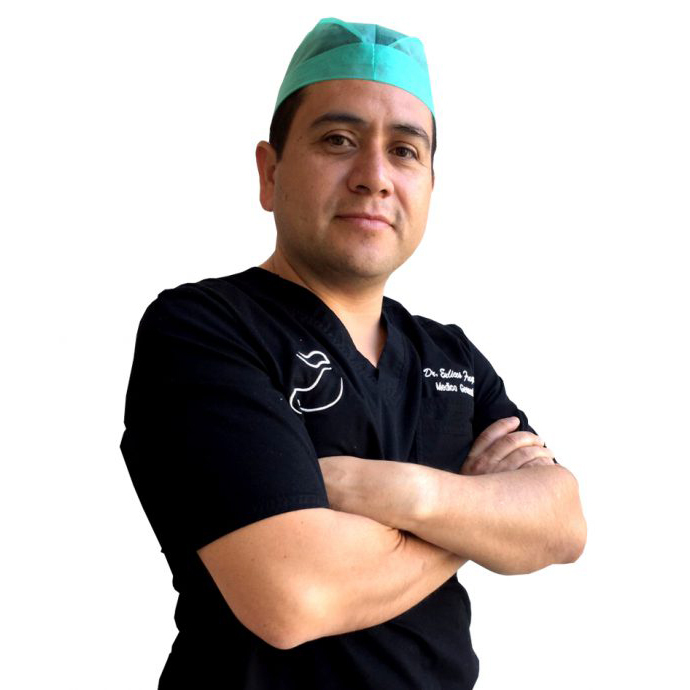 Originally from Sinaloa, was developed within the Medical Carrier always with great sharpness and accuracy, now exercising his practice with the best team of Bariatric Surgery in Mexico, with 15 years of experience is a good choice to undergo Surgery on his hands.